River views over up-and-coming East Village! 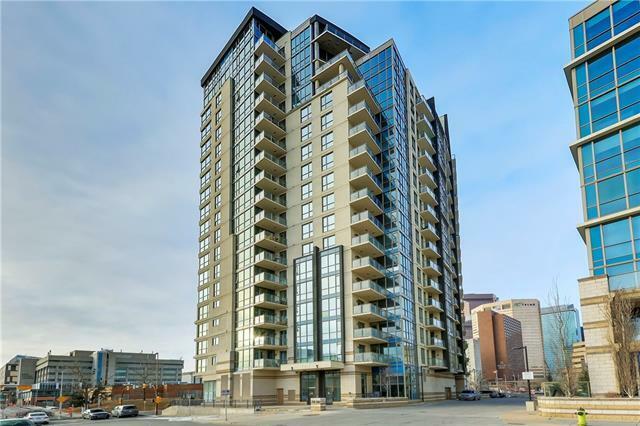 Youll be instantly in love with this 1 BED + DEN, located in the Riverfront Pointe, offering walkability, access to transit, and proximity to the Riverwalk pathways, Eau Claire, and the rest of the downtown core. 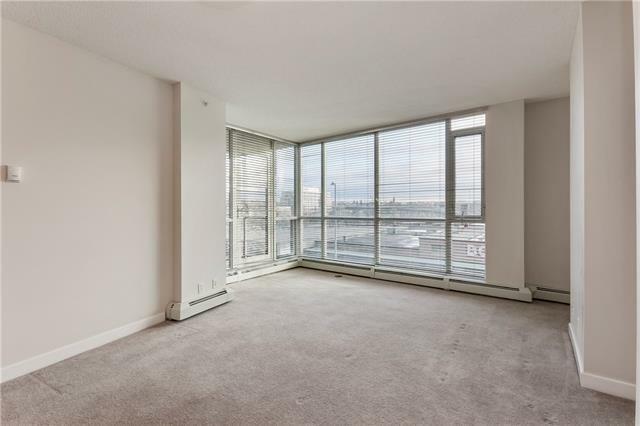 Perched on the 3rd floor, with an unobstructed view over the river, this unit truly is urban living at its best. 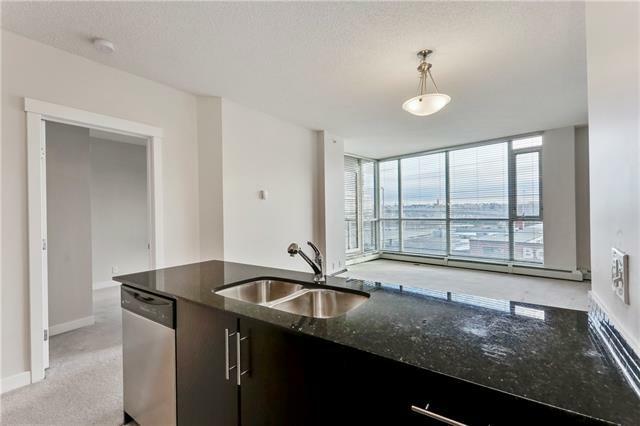 With modern finishings and floor to ceiling windows, all this space needs is your personal design touch! 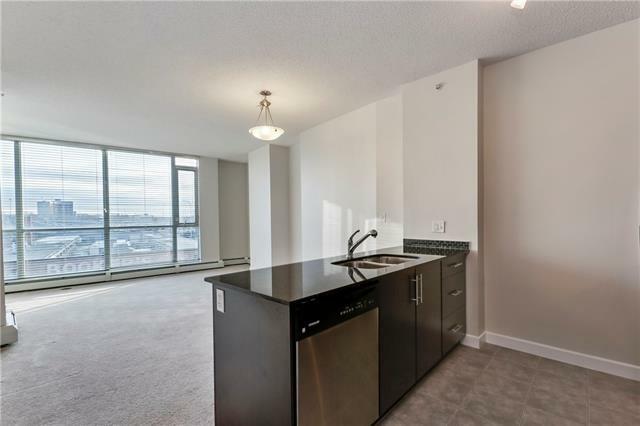 The unit features stainless steel kitchen appliances, an open floor plan to the dining area and living room, a master bedroom, 4 piece bathroom, and in-suite laundry. Access your balcony from the living room to enjoy the views over the bustling energy of the city. In addition to all of this, the unit also comes with a titled heated, underground parking stall. The building also offers some fantastic amenities including a gym, common outdoor patio on the 4th floor, full-time concierge/security, and bike storage. Welcome to downtown life!